Young Living’s mission is to bring pure essential oils into every home in the world. Through their expansive proprietary Seed to Seal commitment and its three pillars (Sourcing, Science and Standards) they work to provide the purest most authentic products for every family and lifestyle. Young Living offers over 600 products to support emotional, spiritual and physical wellness. You’re a lot of things to a lot of people. When you are on your “A” game, your home runs like beautiful, shiny piece of machinery. You’re up and at ‘em early, lunches pack, clothes laid out, your grocery list is even organized by section. Smooth like butter, and the organic kind you remembered this time because your list was so organized. Nice. Until, it’s not. You’ve hit a blip and you’re off your “A” game, in fact you’re not even in the “B” category, more like “F” for fail. What happened? You didn’t have your backup my friend! Every team needs a starting line-up ready to go just like you need yours of course. Let me introduce you to the oils that Young Living has so wisely chosen for your starter kit and some of the quick reasons why you should never run out of stock. Copaiba- This is as much fun to use as it is to say. Great for immune system support, digestion, and has the highest amounts of beta caryophyllene (55%) of any known essential oil. Digize- This blend is a work of art. Ginger, Anise, Fennel, Peppermint, Tarragon, Lemongrass, Patchouli, Juniper. Even an essential oil novice can recognize the potential with this oil with nausea, digestive aid and/or discomfort. Frankincense- One of the oldest essential oils and there is good reason it has been around since ancient times. It aids in healthy and smooth skin, and historically known as a sacred oil, frankincense offers a meditative atmosphere and grounding experience when diffused. Lavender- Soothing lavender offers a peaceful calm and promotes a restful slumber when used before bedtime. Lemon- Lemon does much more than jazz up a glass of water or foods. It is pressed from the rinds of the lemon and contains d-limonene, an amazing antioxidant. Panaway- This blend is specially formulated with Wintergreen, Clove, Helichrysum, and Peppermint. Great topically for massaging those aches and pains. Peppermint- Often the first love of any new essential oil user. Promotes digestion, alertness, and enhances healthy gut functions while also great topically for those pesky headaches. Purification- A hardworking blend of Citronella, Lemongrass, Lavender, Rosemary, Tea Tree, and Myrtle essential oils. Purification freshens like no other by eliminating odors and can awaken the senses. R.C.- A go to for the sniffles! Can be used on a hot towel as a compress, diffused, or applied topically to chest or bottom of feet. R.C. is a blend of Eucalyptus Globulus, Myrtle, Marjoram, Pine, Eucalyptus Citriodora, Lavender, Cypress, Black Spruce, Peppermint, Eucalyptus Radiata. Stress Away- Do I need to explain? I will anyway just so we are clear how much Stress Away rocks. A blend of Copaiba, Lime, Cedarwood, Vanilla, Ocotea, Lavender, and coconut oil. Lime uplifts, Cedarwood comforts, while the marriage made in essential oil heaven of Copaiba and Lavender relax. Seriously, a bottle in every room please. Theives- An essential oil as cool as its background story (inspired by of four 15th century thieves). Used in wellness regimens, this blend of Eucalyptus, Rosemary, Lemon, Clove, Cinnamon Bark, and Lemon is a Young Living rock-star with its immune system support and overall wellness attributes. 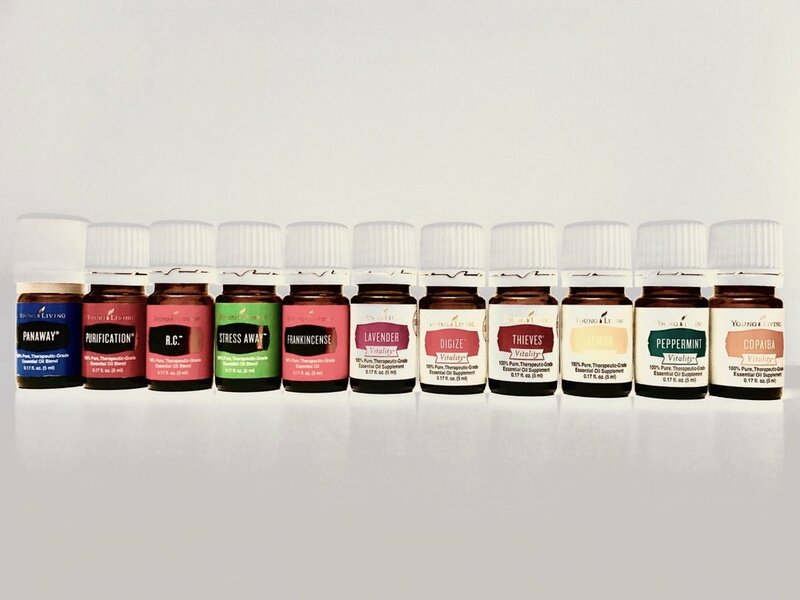 Besides you, your starting lineup of some amazing essential oils will be the hardest working thing in your house. Power your life with a delicious blend of nutrient-rich wolfberry puree, superfruit juices, and pure essential oils. Formulated to support wellness for every lifestyle, NingXia Red® is a unique, powerful drink that will help you make the most of every day. This Starter Kit includes favorite NingXia Red products, including our top-selling cognitive fitness booster, NingXia Nitro! The easiest and least expensive way to go chemical-free in your home and lifestyle is to get a Thieves Starter Kit. 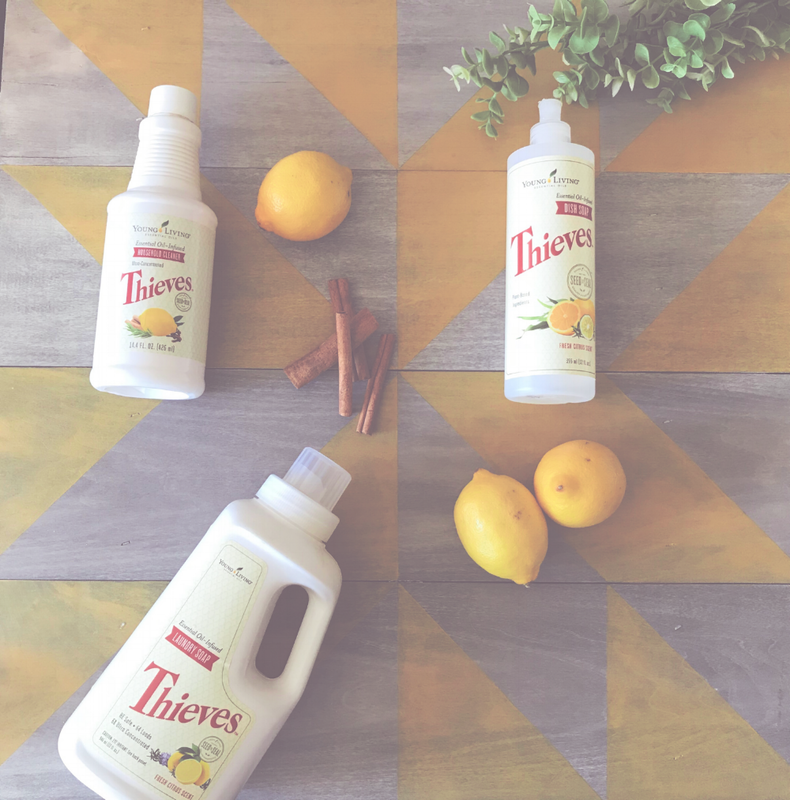 With the Premium Starter Kit wit Thieves, you can immediately begin weeding out some of the dangerous toxins in your home with these natural, plant-based options. Easy to use and much more economical than anything you can buy in stores. Thieves is one of Young Living’s most favored blends. It offers the benefits of Lemon, Clove, Cinnamon Bark, Eucalyptus Radiata, and Rosemary. This blend was formulated with inspiration of the four four 15th-century French thieves who themselves wore a combination of clove, rosemary, vinegar, and other botanicals that they believed provided protection while they were stealing. French authorities recognized that there was such value in this mixture that upon the thieves’ capture, they received a more merciful punishment on condition that they divulge the ingredients in their secret formula. AromaGlide™ Roller Fitment and much more. Not only is Young Living committed to providing the purest most authentic products for every family and lifestyle, but they also go beyond with their non-profit organization, The Young Living Foundation. The foundation provides time and resources to communities with impoverished families around the globe. It is one of our absolute favorite things about working for this unique and meaningful company.